Metabolism of chemicals from the diet, exposures to xenobiotics, the microbiome, and lifestyle factors (e.g., smoking, alcohol intake) produce electrophiles that react with nucleophilic sites in circulating proteins, notably Cys34 of human serum albumin (HSA). To discover potential risk factors resulting from in utero exposures, we are investigating HSA-Cys34 adducts in archived newborn dried blood spots (DBS) that reflect systemic exposures during the last month of gestation. 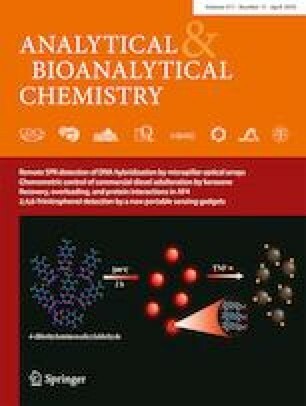 The workflow includes extraction of proteins from DBS, measurement of hemoglobin (Hb) to normalize for blood volume, addition of methanol to enrich HSA by precipitation of Hb and other interfering proteins, digestion with trypsin, and detection of HSA-Cys34 adducts via nanoflow liquid chromatography-high-resolution mass spectrometry. As proof-of-principle, we applied the method to 49 archived DBS collected from newborns whose mothers either actively smoked during pregnancy or were nonsmokers. Twenty-six HSA-Cys34 adducts were detected, including Cys34 oxidation products, mixed disulfides with low molecular weight thiols (e.g., cysteine, homocysteine, glutathione, cysteinylglycine), and other modifications. Data were normalized with a novel method (“scone”) to remove unwanted technical variation arising from HSA digestion, blood volume, DBS age, mass spectrometry analysis, and batch effects. Using an ensemble of linear and nonlinear models, the Cys34 adduct of cyanide was found to consistently discriminate between newborns of smoking and nonsmoking mothers with a mean fold change (smoking/nonsmoking) of 1.31. These results indicate that DBS adductomics is suitable for investigating in utero exposures to reactive chemicals and metabolites that may influence disease risks later in life. The online version of this article ( https://doi.org/10.1007/s00216-019-01675-8) contains supplementary material, which is available to authorized users. The biospecimens used in this study were obtained from the California Biobank Program (SIS request number 26) in accordance with Section 6555(b), 17 CCR. This work was supported by US National Institutes of Health through grants P01ES018172, P50ES018172, R01ES009137, and P42ES0470518 from the National Institute for Environmental Health Sciences and grant R33CA191159 from the National Cancer Institute, by the US Environmental Protection Agency through grants RD83451101 and RD83615901, and by a grant for a pilot project from Children with Cancer, a registered Charity in the UK. The CCLS and Center for Integrative Research on Childhood Leukemia and the Environment were approved by the University of California Committee for the Protection of Human Subjects, the California Health and Human Services Agency Committee for the Protection of Human Subjects, and the institutional review boards of all participating hospitals, as appropriate. Written informed consent was obtained from all adult volunteer subjects and parents of all participating subjects in the CCLS. The NIEHS, USEPA, and California Department of Public Health are not responsible for the results or conclusions drawn by the authors of this publication. California Department of Public Health (CDPH) Newborn Screening Specimens Use and Storage. https://www.cdph.ca.gov/Programs/CFH/DGDS/Pages/nbs/NBSDBS-Storage.aspx. Accessed 11 May 2018. R Development Core Team (2016) R: a Language and environment for statistical computing. In: R Found. Stat. Comput. Vienna, Austria. https://www.r-project.org/. Accessed 8 Mar 2017. Cole MB, Risso D, Wagner A, DeTomaso D, Ngai J, Purdom E, Dudoit S, Yosef N (2017) Performance assessment and selection of normalization procedures for single-cell RNA-Seq. bioRxiv 1–30. https://doi.org/10.1101/235382. (1982) 3. Fetal hemoglobin: structure and function. Scand J Clin Lab Invest 42:32–37. https://doi.org/10.1080/00365518209168384. Hustoft HK, Malerod H, Wilson SR, Reubsaet L, Lundanes E, Greibrokk T (2012) A critical review of trypsin digestion for LC-MS based proteomics. Integr Proteomics https://doi.org/10.5772/2473.